Archbishop Charles J. Scicluna, Auxiliary bishop Joseph Galea-Curmi and Archbishop Emeritus Paul Cremona will be meeting state authorities and constituted bodies to exchange Christmas and New Year greetings at the Archbishop’s Palace in Valletta on December 20 at 3pm. 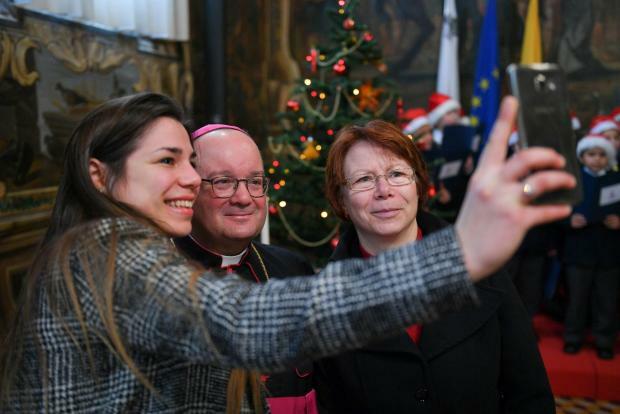 They will exchange greetings with the public at the Curia in Floriana on December 23 from 10am to noon. The Archbishop will be making a speech to those present at 10.15am. Access will be through the door on Triq Vinċenzo Buġeja.